West Side Story. Singin’ in the Rain. My Fair Lady. Ask any film fan for a classic example of the Hollywood musical, and these are the ideas that first come to mind. And they’d be absolutely correct; each of these classics, and more, helped define and refine the genre. The electrifying 1984 film Purple Rain thrust the movie musical into the 1980s with a spectacular dossier of rock, pop, and funk songs, all framed within the traditional Broadway musical structure. The opening number “Let’s Go Crazy” functions as a perfect musical introduction: establishing the time, the place, and the main players all embedded in one song. Our hero Prince (playing The Kid) performs onstage with his band The Revolution, as his flashy rival Morris Day and future love interest Apollonia each arrive at the First Avenue nightclub. Small but character-defining vignettes catch us up to speed as to who they are in the Minneapolis universe, and instantly set the foundation for the drama to unfold. The “I Want” song, a staple of Broadway musicals, appears in the same setting, sung by Prince only, but can apply to all members of the neon love triangle. He wails “The Beautiful Ones,” an unstoppable power ballad demanding, “Do you want him, or do you want me? ‘Cause I want you.”Prince sings this directly to Apollonia, and it certainly applies the other way around, as well as from Morris Day to Apollonia. Even beyond the romance itself, the potential jealousy and obsession puts Prince’s career at stake. Prince and Morris have a deep-seeded feud, and the sudden appearance of Apollonia into town might just be enough to push them over the edge. They are enemies both in their careers and in their love lives, raising the stakes to dangerously personal levels. For the grand finale, this purple package is all wrapped up by a one-two-three punch of the songs “Purple Rain,” “I Would Die 4 U,” and “Baby I’m a Star.” After scenes of high drama and disturbing violence, “Purple Rain” is the thoughtful, mature ballad to redeem Prince and all his mistakes. This deeply personal song pierces through the club crowd and they beg for more, so he returns to the stage for the rollicking pop songs “I Would Die 4 U” and “Baby I’m a Star.” From the audience’s reaction, it is clear that the Revolution’s future at the club is guaranteed, and Prince even shares a charming smile with Apollonia, watching from the crowd; we know they’ll work out in the end. In one extended sequence, we go from mournful and introspective to celebratory, charming, and triumphant. What Purple Rain is arguably missing is an Eleven O’Clock Number: a big, energy-driving Act Two song to propel us through the end of the show. The film takes an extended break from music, as romantic tensions rise between Prince and Apollonia, Prince grapples with his parents’ violent relationship, and he struggles to make amends with The Revolution. The energy deflates from the film, and Prince is forced to get his life back together. This decision is an important one, as the third act is all about Prince rebuilding himself after he’s sunk so low. He cleans up his life, focuses on his music, and opens his mind to allow in others’ ideas. The reawakening comes not from some song pulsing through him, but an internal journey and choice that only he can make. The music literally stops until he has redeemed himself. This blog post is part of the 31 Days of Oscar Blogathon 2017 hosted by Aurora’s Gin Joint, Outspoken & Freckled, and Paula’s Cinema Club. Check out the full lineup here! 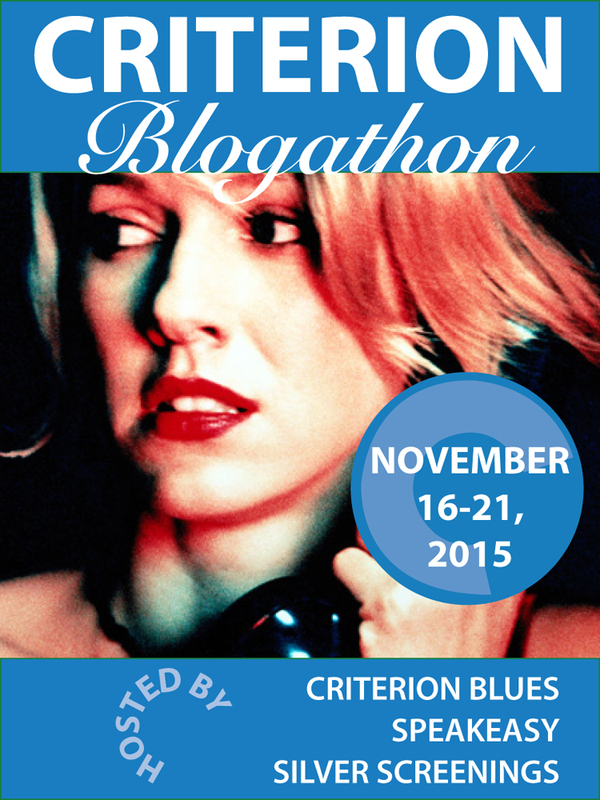 Check out the Dual Roles Blogathon: One Actor ~ Multiple Roles — accepting submissions now! There is something particularly riveting about watching a film where an actor plays more than one role. Ronald Colman in The Prisoner of Zenda, Hayley Mills in The Parent Trap, Michael J. Fox in the three Back to the Future films. Even Ginger Rogers in The Major and the Minor. It is that combination of technical know-how, make-up, and the sheer skill of an individual actor that produces the peculiar exhilaration one can feel. Cinema is, after all, about role playing and the illusion of reality, an image of reality. What can typify this more than the concept of dual or multiple roles? In that spirit, Ruth of Silver Screenings and I are so excited to announce the Dual Roles Blogathon: One Actor ~ Multiple Roles. Since I first watched it about ten years ago, The Graduate instantly flew into the swirl of my favorite films. Of course, late middle school / early high school age me didn’t fully grasp the complex themes masked by uncomfortable comedy and moody ambivalence, but this classic still spoke to me in a primal, instinctive way. When it came time to decide where to pursue higher education, I landed on UC Berkeley – where many other onscreen characters have attended, including High School Musical‘s Troy Bolton, Looking‘s Patrick Murray, and The Graduate‘s Elaine Robinson. The Graduate is probably the most notable film to be partially set at my alma mater, and likely one of the only to have actually filmed there. As is show business, several shots of Cal within this film are really shot at USC (sss!) but several are filmed in the places and streets I called home for four years. Moe’s Books is a still-operating independent bookstore with a wide breadth of literature, new, old, and out-of-print. I discovered this later in college and even got a book about the making of All About Eve there. More exciting (to The Graduate fanboys like myself) is there Benjamin is sitting: the Caffe Mediterraneum. This is one of Berkeley’s most well-known coffee shops, where I’ve attended multiple study groups, political meetings, and social catch-ups. It’s the self-proclaimed “home of the caffe latte,” and they also boast a great breakfast and lunch menu. These are in the “Southside” neighborhood, just 3 blocks from campus and 1 block from a house I lived in. In this brief shot, we view the 2600 block of Durant Ave, just 1 block south of campus. First we see Unit 1, a large dormitory complex. I didn’t live there myself, but several friends did so I became familiar with it. Durant was also home to many popular eateries, including Top Dog (known throughout the Bay Area), La Burrita (terrific Mexican food), and a collection of restaurants known as the Asian Ghetto (I didn’t come up with the name). Durant Avenue was part of my everyday life. During my later years in college this frat earned a bad rep, but I had a lot of positive memories here. When my friends and I would frequent frat row, we’d always hit up TDX and even went to a charity haunted house event they hosted one Halloween. Possibly the most exciting on-location shots are those in Sproul Plaza, as Benjamin continues to try to win Elaine over. Sproul Plaza is the real heart of the UC Berkeley campus: where student groups recruit members & publicize events, religious fanatics preach from soapboxes, and passers-by can pick up the Daily Californian campus newspaper. It is the place to see and be seen, and I’m not even joking. More so than the other locations in this film, Sproul Plaza is one of the most iconic images of UC Berkeley and of my own college experience. I was there for key milestones in my student tenure, like running for student government (I lost) and watching (not participating in) the Occupy UC mayhem, but more importantly it was part of my everyday. It is the main strip between campus classroom buildings and student housing, where everyone intersects within one space. It’s only logical that Benjamin sees Elaine here, as this is the one place that every UC Berkeley student can be found. I loved The Graduate years before I even thought about Cal, and will continue to be as my memories of college slip away. But having an intimate knowledge and personal experience with several of the locations, however minor, in a cinema masterpiece will forever tie me directly to one of my favorite films. This post is part of the 31 Days of Oscar Blogathon hosted by Outspoken and Outfreckled. Check out the other great entries here! Meet the Robinsons is the story of a good scientist and budding inventor, who struggles to get his inventions right in a world without emotional support or room to experiment. Lewis lives in an orphanage, where his tinkering annoys his roommate Goob, and his ideas often scare off potential adoptive parents. Growing up friendless, and with no family, each new invention is an opportunity to impress and connect with others – making the stakes, and potential failure, that much greater. After suffering an invention mishap during an adoption interview, Lewis runs away and laments, “I have no future.” For him, failure in his inventions is inherently linked to failure in finding a home. There are two key themes running throughout this film: first, the importance of a space where creative minds can tinker, with room for trial and error. Second, the reality that you need to work to change your own future: no one is going to do that for you. This thread weaves together the importance of family with empowerment and humanism, leaving a positive message for all kids, scientist or not. This post is part of the Movie Scientists Blogathon, hosted by Christina Wehner and Silver Screenings. Check out the other great entries on the full roster here! In Billy Wilder’s Sunset Boulevard, arguably the ultimate Hollywood movie, struggling screenwriter Joe Gillis falls into professional & personal relationships with two women: Norma Desmond and Betty Schaefer. Each of them represent different takes on the Hollywood experience – two strategies to navigate the twisted, labyrinthine world of show business. Norma ignores the status quo altogether, operating on her own terms, while Betty proactively driving her career forward within the confines of the system. Joe’s Hollywood is a world of manipulation and exploitation, where friends and partners won’t help a guy in need. He is disappointed in this response, though not surprised; from Joe’s reaction, this seems to be “business as usual” and nothing new. A crafty orator, Joe sets himself up for a job by telling Norma the script could be stronger if someone did an editing job. Norma sighs, “Who? I’d have to have somebody I can trust. When were you born — I mean, what sign of the zodiac?” Joe is a Sagittarian, an astrologically trustworthy sign. “I like Sagitarrians. You can trust them,” Norma insists. The stars, not Joe’s talent or credibility, make him a qualified candidate to take on Salome. Norma’s utter dismissal for the governing laws of Hollywood are foiled by the other woman in Joe’s life, Betty Schaefer. Betty is a young talent in the Readers’ department, reviewing incoming scripts and advising on which stories to produce for the screen. Unlike Norma, ignoring the rules altogether, Betty leverages the studio system to propel her career. Her career kick-start even comes from rejection from the studios. Betty tells Joe about her background, as the third generation of show business in her family, and as such she was expected to become a great star. “Ten years of dramatic lessons, diction, dancing. Then the studio made a test. Well, they didn’t like my nose […] I went to a doctor and had it fixed. They made more tests, and they were crazy about my nose — only they didn’t like my acting.” Joe teases her how sad her story is, and she replies “Not at all. It taught me a little sense. […] What’s wrong with being on the other side of the camera? It’s really more fun.” Betty acknowledges, and grows from, her rejection from the studios; she doesn’t recluse herself away from show business, but finds another avenue within which to grow her career. She’s not in love with her current job as a Reader, and aspires to be a studio writer. She leverages her relationship with Sheldrake, a Paramount producer, to pitch story ideas and generate buzz for what she’s working on. After work hours, she and Joe meet to collaborate on a past work of his (Dark Windows, a love story about two teachers) to develop it into a fully fledged script to be produced. When she initially offers this idea to Joe, he declines, but she insists, making herself “completely at [his] disposal.” Hers is a proactive, flexible attitude – willing to do what she must in order to take this next big step as a writer. Betty and Norma offer two very different takes on the entertainment industry. 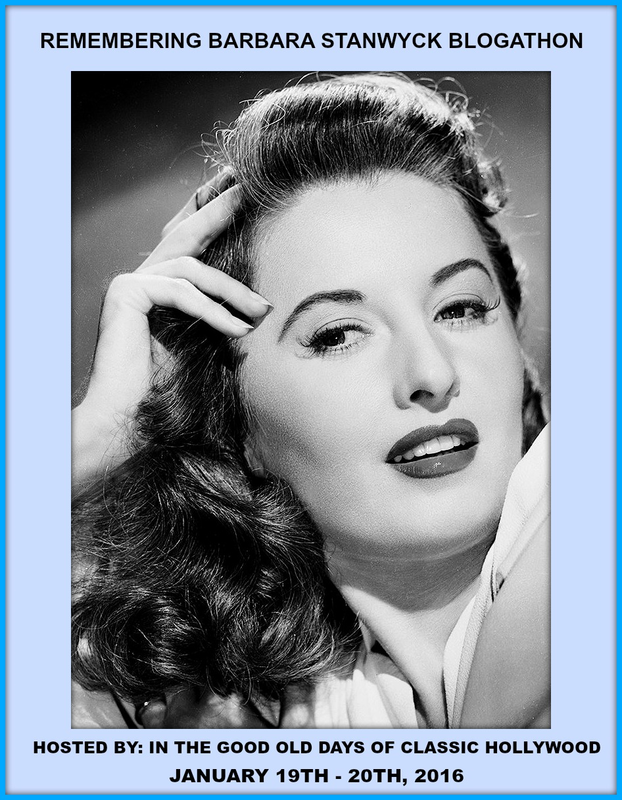 Betty redefines herself, taking opportunities to develop herself and her career within the ever-evolving studio system. Norma, however, exiles herself altogether and operates in her own world. At a time in Joe’s life when he finds himself defeated by the Hollywood machine, these two women offer new strategies on how to get back in the game: one proactive, one ultimately destructive. 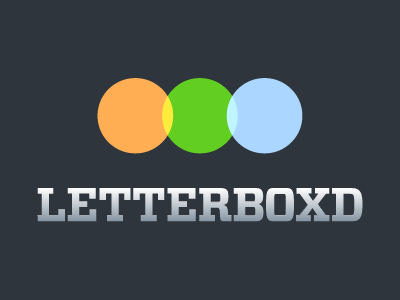 This post is part of the Backstage Blogathon hosted by Movies Silently & Sister Celluloid. Check out the other entries from the full rosters listed on their sites! Special thanks to Daily Script hosting the Sunset Boulevard screenplay available here.